“The USDA’s decision to slaughter kittens after they are used in research is an archaic practice and horrific treatment, and we need to end it,” Merkley told NBC News last week about his KITTEN Act. “What do cats have that newborn babies don’t?” Family Research Council asked Wednesday in President Tony Perkins’ Washington Update. Democrats’ support. In one of the sickest ironies no one is talking about, Senate liberals picked this moment – 17 days after they voted to kill America’s perfectly healthy infants – to fight for the humane treatment of kittens. Maybe the DNC’s strategists are out to lunch, or maybe the Left really is this shameless, but I can’t wait to see some of these politicians standing on debate platforms next year telling the American people that when it comes to protecting living things: We chose cats over kids. The Born-Alive Abortion Survivors Protection Act, S. 311, failed, 53-44, with the requirement of a 60-vote supermajority for approval, and only Democrats voting against it. 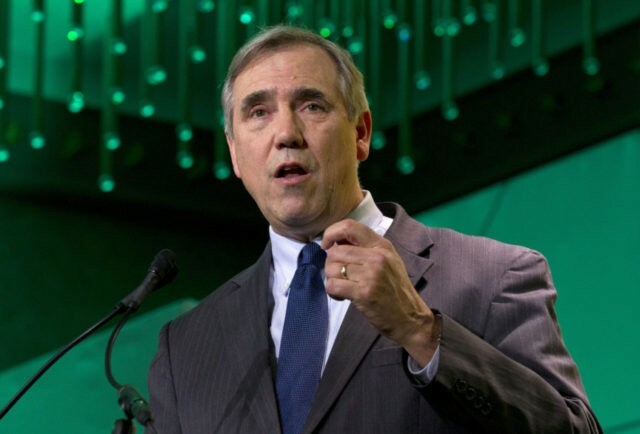 Perkins continued that “the optics are nauseating” for Merkley. “Here he is, arguing that America ‘must stop killing kittens,’ when, three weeks ago, he stood in the U.S. Capitol and agreed with 43 Democrats that human beings should be put down,” he said, zoning in particularly on Merkley’s urging that the kittens be “adopted” rather than killed. According to the NBC News report, Department of Agriculture scientists have been breeding kittens and using them for experimentation on foodborne parasites which cause toxoplasmosis, an illness the Centers for Disease Control and Prevention say is one of the leading causes of death from foodborne illness in the nation. Once the research is completed, the scientists euthanize the kittens and incinerate them in order to prevent the spread of the parasite. “Three-thousand healthy kittens killed and $22 million wasted on decades of cruel and unproductive government experiments should alarm budget hawks and advocates alike,” said Justin Goodman, vice president of advocacy of the White Coat Waste Project. Perkins, however, pointed out how Democrats were not alarmed at the cruelty displayed toward human babies born alive after abortion.